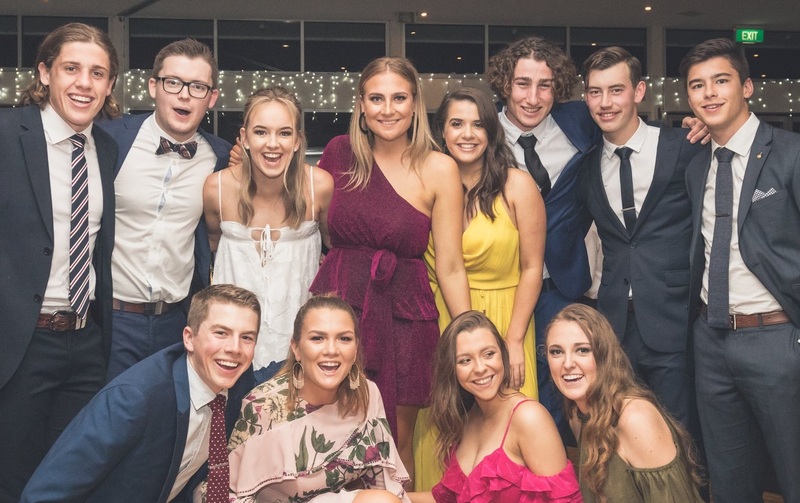 The Pavilion, South Terrace, was the picturesque venue for 2018 Aquinas Ball which was held at the end of the first week of the second semester. As always, it was an evening marked by no shortage of glamour and fun. The Student Club’s lead organiser for this year’s event was Eliza Smith who was very pleased with how the night went, one that is always a social highlight of the Aquinas year. The evening began with drinks and canapés on the Gleeson Lawn at the College, before everyone was bussed to what had been billed as mystery location. Students enjoyed the size and setting of the venue, and were impressed by the quality of the food and the entertainment.